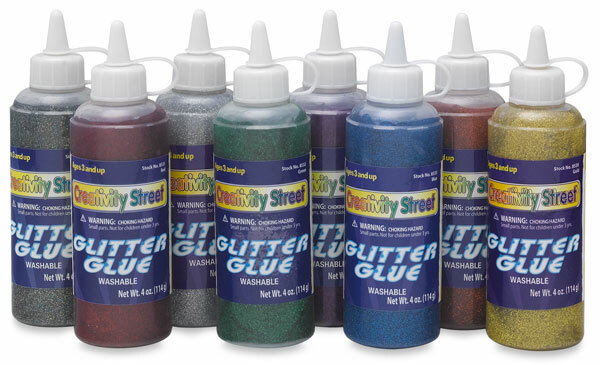 Creativity Street Glitter Glue issues all the pizzazz and sparkle without all the mess. 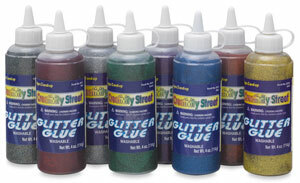 Use it to accent artwork and embellish craft projects. The squeezable bottles have a fine tip that dispenses with precision. The tips can be cut for more flow.